To evaluate the diagnostic performance of bone texture analysis (TA) combined with machine learning (ML) algorithms in standard CT scans to identify patients with vertebrae at risk for insufficiency fractures. Standard CT scans of 58 patients with insufficiency fractures of the spine, performed between 2006 and 2013, were analyzed retrospectively. Every included patient had at least two CT scans. Intact vertebrae in a first scan that either fractured (“unstable”) or remained intact (“stable”) in the consecutive scan were manually segmented on mid-sagittal reformations. TA features for all vertebrae were extracted using open-source software (MaZda). In a paired control study, all vertebrae of the study cohort “cases” and matched controls were classified using ROC analysis of Hounsfield unit (HU) measurements and supervised ML techniques. In a within-subject vertebra comparison, vertebrae of the cases were classified into “unstable” and “stable” using identical techniques. One hundred twenty vertebrae were included. Classification of cases/controls using ROC analysis of HU measurements showed an AUC of 0.83 (95% confidence interval [CI], 0.77–0.88), and ML-based classification showed an AUC of 0.97 (CI, 0.97–0.98). Classification of unstable/stable vertebrae using ROC analysis showed an AUC of 0.52 (CI, 0.42–0.63), and ML-based classification showed an AUC of 0.64 (CI, 0.61–0.67). TA combined with ML allows to identifying patients who will suffer from vertebral insufficiency fractures in standard CT scans with high accuracy. However, identification of single vertebra at risk remains challenging. • Bone texture analysis combined with machine learning allows to identify patients at risk for vertebral body insufficiency fractures on standard CT scans with high accuracy. • Compared to mere Hounsfield unit measurements on CT scans, application of bone texture analysis combined with machine learning improve fracture risk prediction. 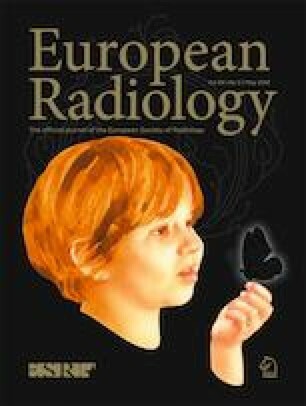 • This analysis has the potential to identify vertebrae at risk for insufficiency fracture and may thus increase diagnostic value of standard CT scans. The online version of this article ( https://doi.org/10.1007/s00330-018-5846-8) contains supplementary material, which is available to authorized users. The scientific guarantor of this publication is Roman Guggenberger. The control cohort used in the present study (58 patients) is part of a study population of a previously published study establishing normative values for CT-based texture analysis of vertebral bodies. Mannil M, Eberhard M, Becker AS, et al (2017) Normative values for CT-based texture analysis of vertebral bodies in dual X-ray absorptiometry-confirmed, normally mineralized subjects. Skeletal Radiology 46:1541–1551. https://doi.org/10.1007/s00256-017-2728-0).